Nakuul Mehta is an Indian Television (TV) actor and model, best known for his lead role as Aditya in the television series Pyaar Ka Dard Hai Meetha Meetha Pyaara Pyaara. Nakuul Mehta is currently playing the role of Shivaay Singh Oberoi in the show Ishqbaaz. Nakuul Mehta was born on January 17, 1983 in Udaipur, Rajasthan, India to parents father Pratap Singh Mehta (dad) & mother Shail Lodha Mehta (mom). He descends from King Prithviraj Chauhan of Rajput Chauhan dynasty of Mewar. Nakuul Mehta have an elder sister named Pracchi Mehta Shah, she is married. His father, Pratap Singh Mehta, is a veteran of Indo-Pakistani War of 1971, while Nakuul Mehta's great great grandfather Laxmilal Mehta was the military-in-chief of the Mewar region. He completed his Master of Commerce from Mumbai University. 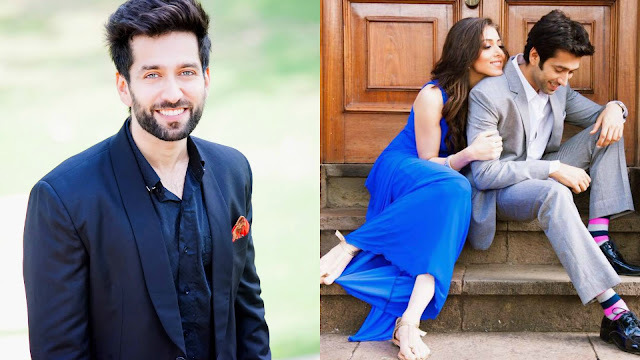 Nakuul Mehta got married to singer Jankee Parekh (Jankee Parekh Mehta) in 2012. Nakuul Mehta rose to fame with the role of Aditya Harish Kumar in hit show Pyaar Ka Dard Hai Meetha Meetha Pyaara Pyaara. Nakuul Mehta did commercials, music videos, and was associated with theatre for a long time. After juggling with his modelling career, he made his debut in Bollywood with the movie 'Haal E Dil'. He has also appeared in the short film Avant Garde, which was showcased at film festival across the globe. In 2015, he hosted India's Got Talent season 6. Nakuul Mehta was last seen in the new original web-series I Don't Watch TV. The show was published on the online content platform, Arre. Produced by Timbuktu Films, it is a satire on the Indian TV industry and also stars Bollywood film critic Rajeev Masand. The series showcase the day-to-day struggle of the Tv actors in a satirical manner. Besides Nakuul Mehta, the web-series also features popular TV actors like Karan Patel, Rithvik Dhanjani, Kritika Kamra, Drashti Dhami, and Karan Wahi. Hello Sir, I was searching for the best blog commenting sites to comment a good reviews about an article and also include my site for this weblog, I got this article from Google. I really find it helpful. Thank you so much for sharing this article. Really a helpful article. Such lucid language and the structure of the post. Such taken-for-granted stuff often needs explanation. Thank you for sharing an autobiography of a talented actress and a beautiful person. I read that she is actively engaged in charity. The source is not very reliable, but it seems to me that this is true.